PMI offers to our clients with exclusive range of Air Receivers, available with all the necessary accessories these receivers ensures effective working. These are effective in condensing the moisture and other impurities in the compressed air. 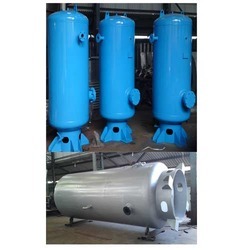 The air receivers are built in compliance with all relevant volumetric standards related to the low pressure air tanks and are available at reasonable price. Looking for Air Receivers ?